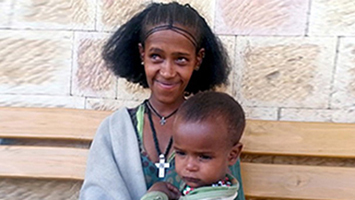 More than 75 million people in Ethiopia live in trachoma-endemic areas – the highest of any country in the world. 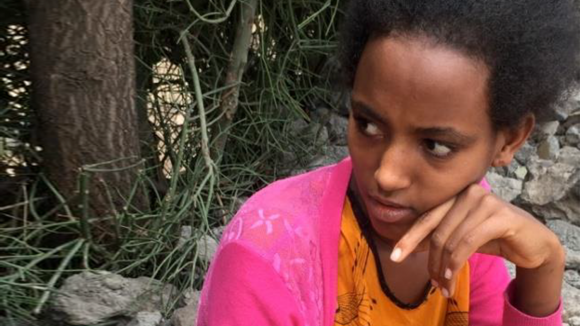 Sightsavers’ work in Ethiopia focuses on treating and preventing trachoma, an infectious eye disease that can cause blindness. 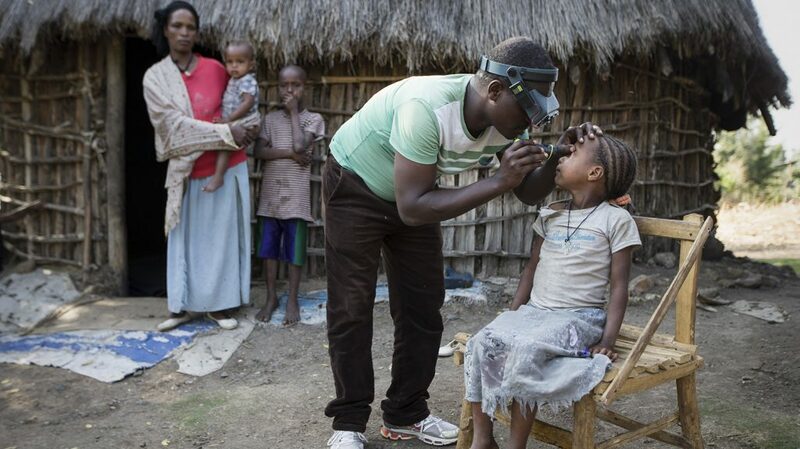 In 2012, we tracked cases of trachoma in Ethiopia as part of the Global Trachoma Mapping Project. 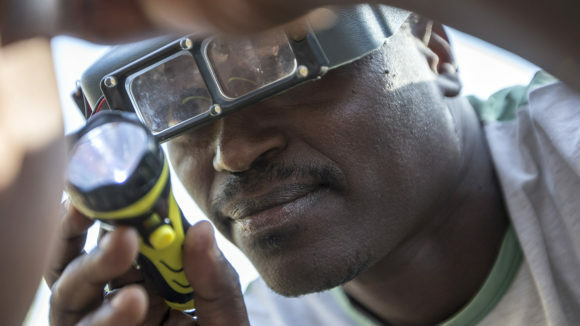 The data we collected showed that the disease was a public health problem in 90 per cent of districts: of the 99.4 million people who live in the country, more than 75 million live in trachoma-endemic areas, the highest of any country in the world. 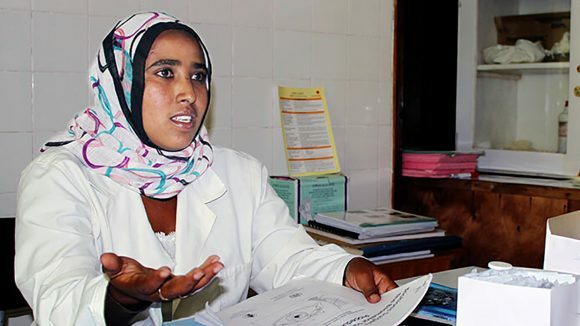 The backlog of people who urgently need eyelid surgery to prevent blindness from trichiasis (advanced trachoma) is more than 693,000, again the highest number of any country worldwide. 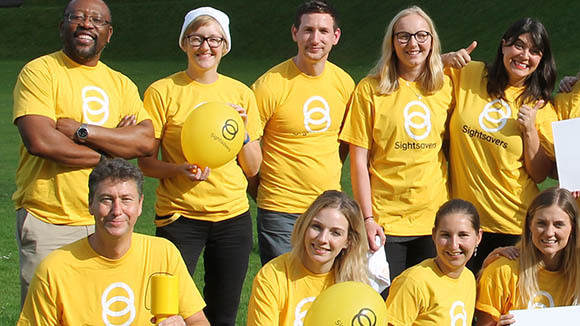 To tackle this, Sightsavers is helping to roll out the World Health Organization’s SAFE strategy, which aims to stop the spread of trachoma through surgery, antibiotics, facewashing and environmental improvements. In 2017, we helped to distribute 10.4 million antibiotic treatments for trachoma in the country. In Ethiopia we also ran the School Health Integrated Programming (SHIP) project during 2016, which screened schoolchildren for health problems such as poor vision and worm infections, and distributed spectacles and treatments where needed. In total 52,000 children received deworming medication. I didn’t imagine that the pain of trachoma could be relieved with just 20 minutes of surgery Now my hope is back. Sister Habiba Shemsu is an eye care worker in the south-west Arba Minch district, and she often walks eight hours a day to get to work. Yet she says it’s worth it to help save sight in rural Africa. Pfizer has donated its 500 millionth Zithromax® (azithromycin) antibiotic tablet, used to treat blinding trachoma in countries across Africa and Asia. 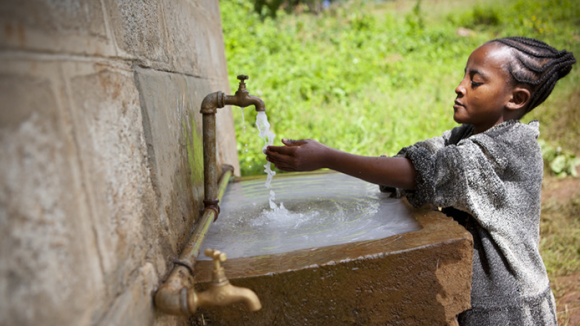 We think about the challenges of working in the field of infectious diseases and how working alongside those in the water sector could improve impacts.